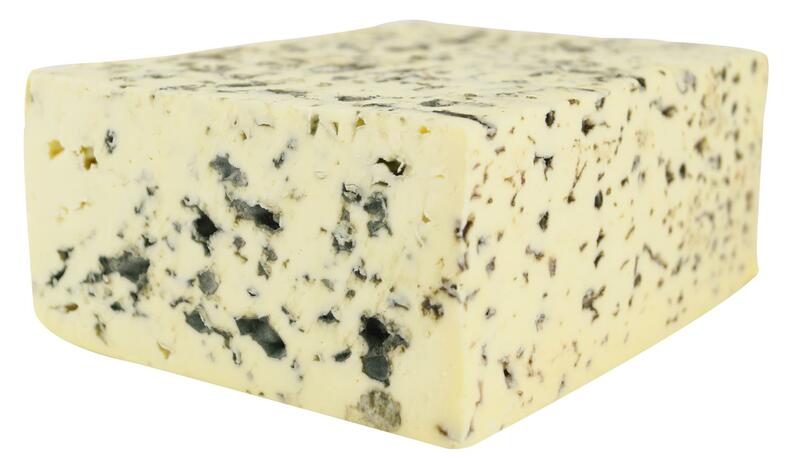 Organic BLUE OCEAN 60% f.i.d.m. 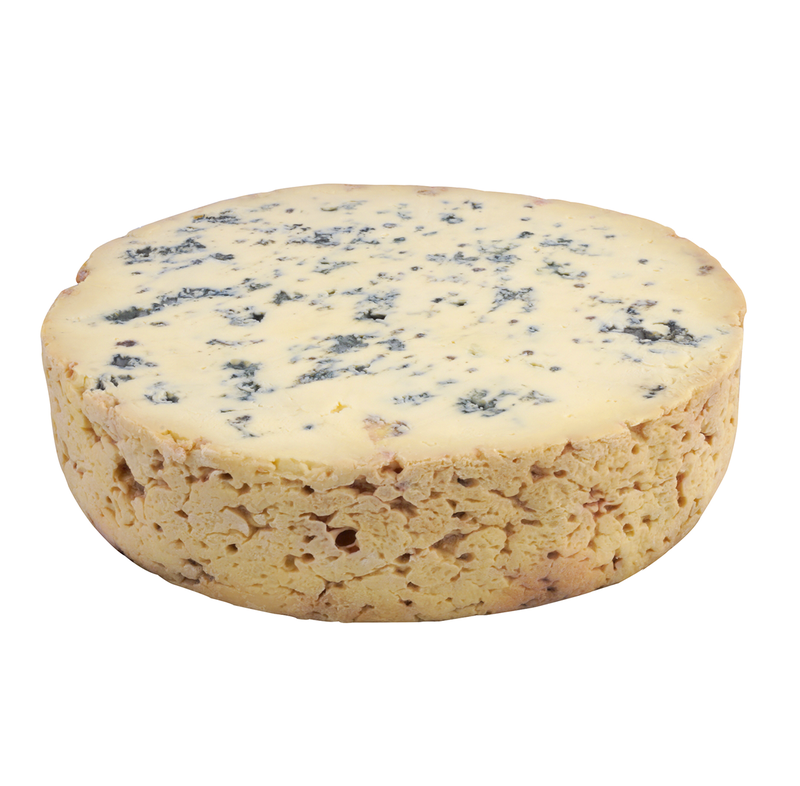 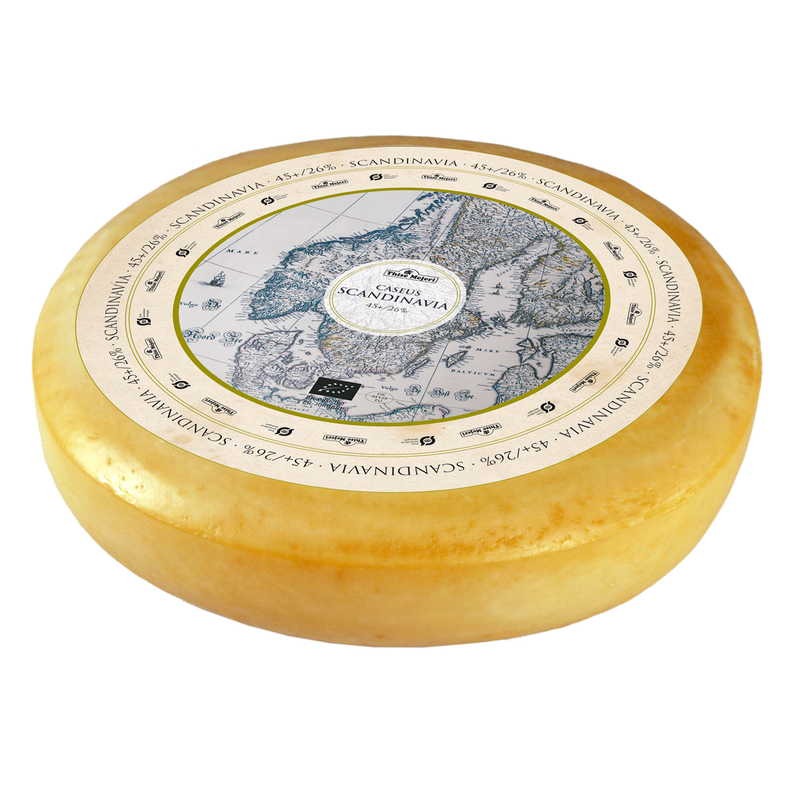 Blue Ocean is a ripened cheese with a balanced but distinct taste of blue mould. 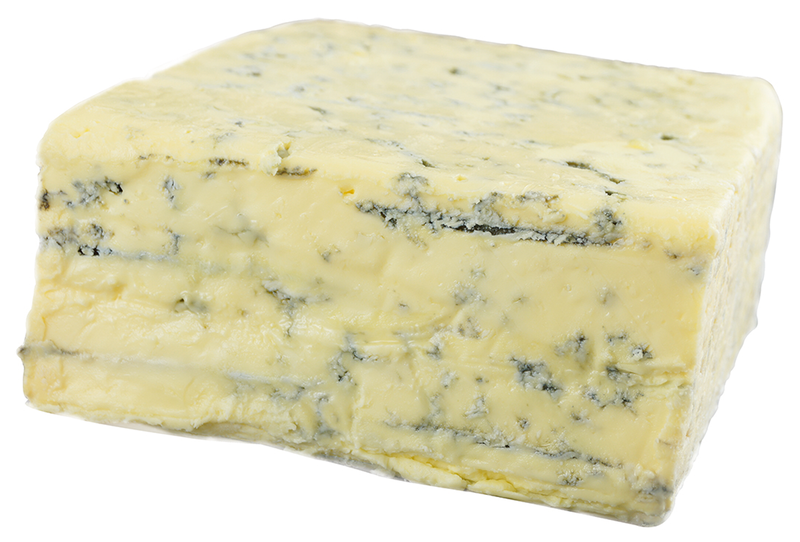 It is in family with Danablu and yet entirely its own. 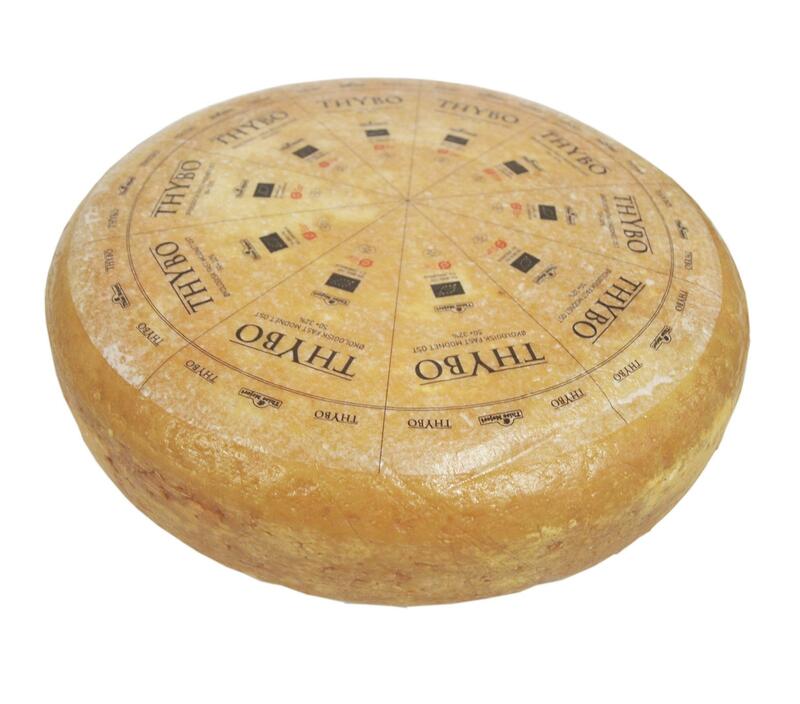 After 4 months of ripening the cheese gets its character. 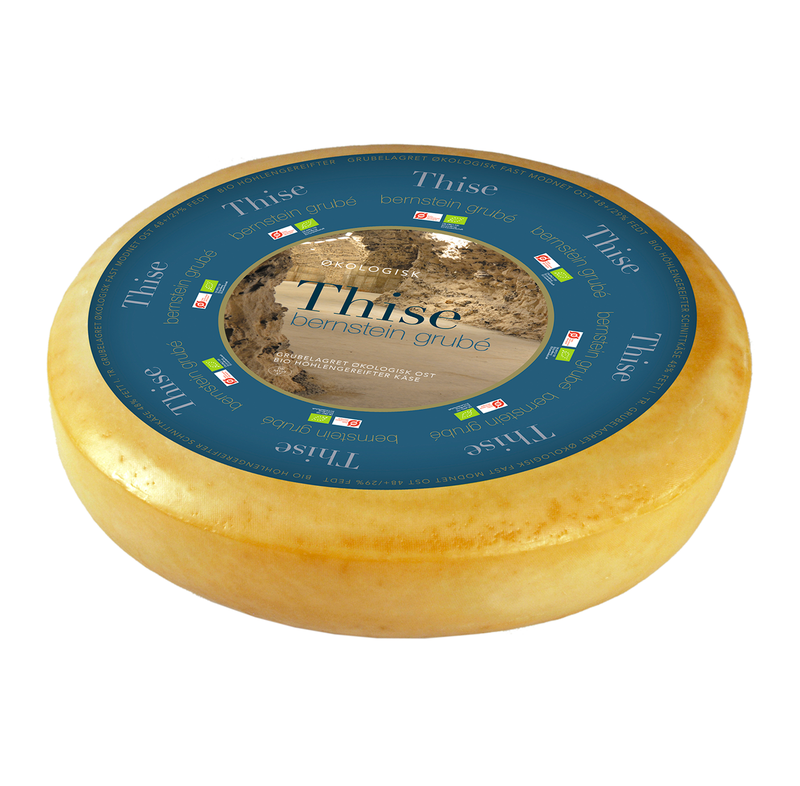 It is soft, delicious and with great taste fullness. 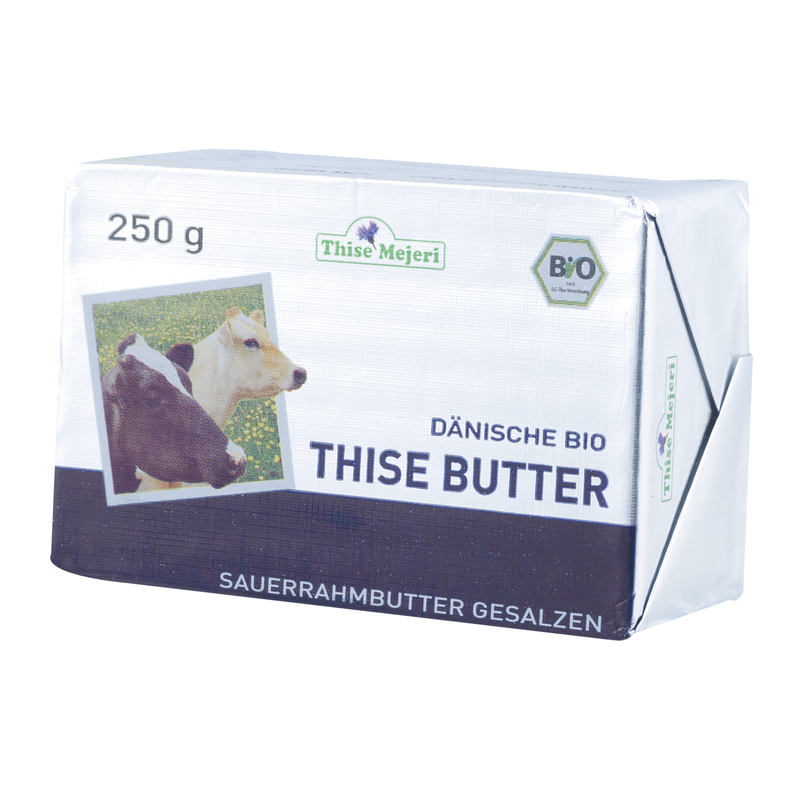 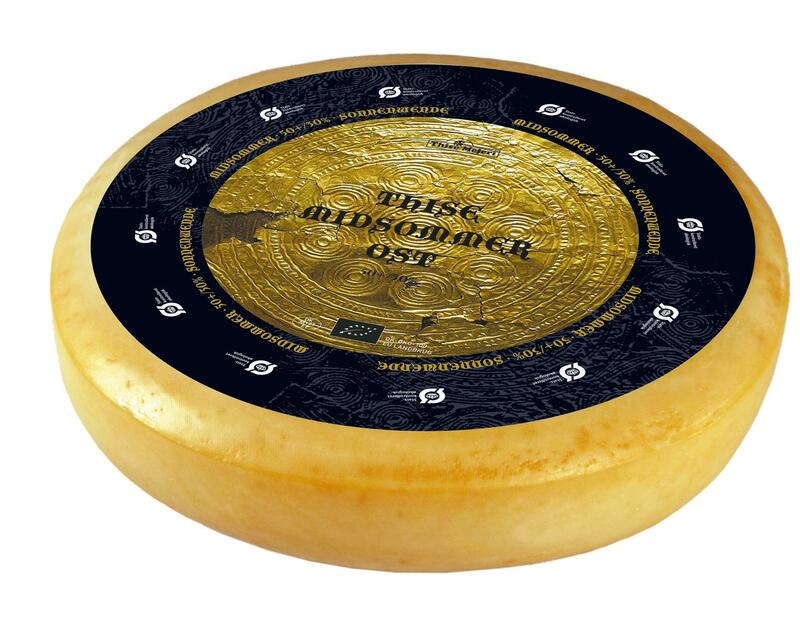 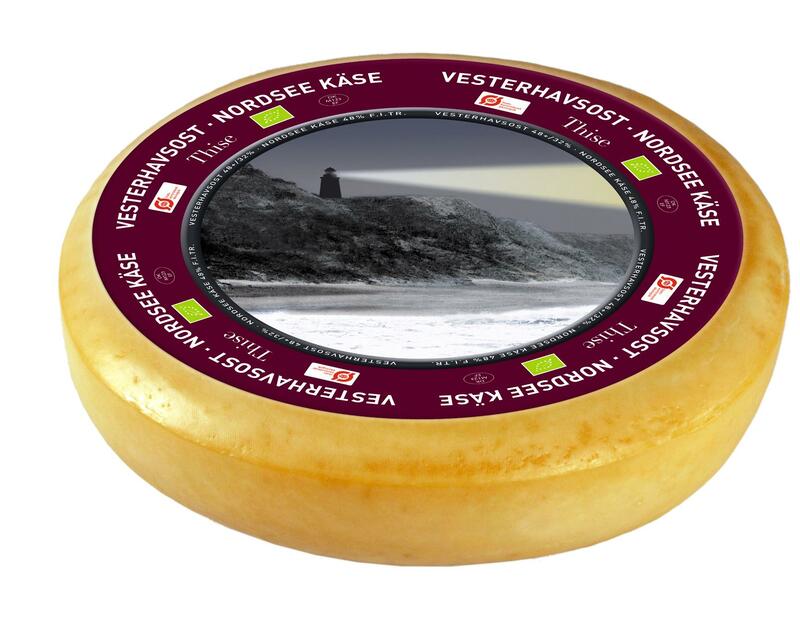 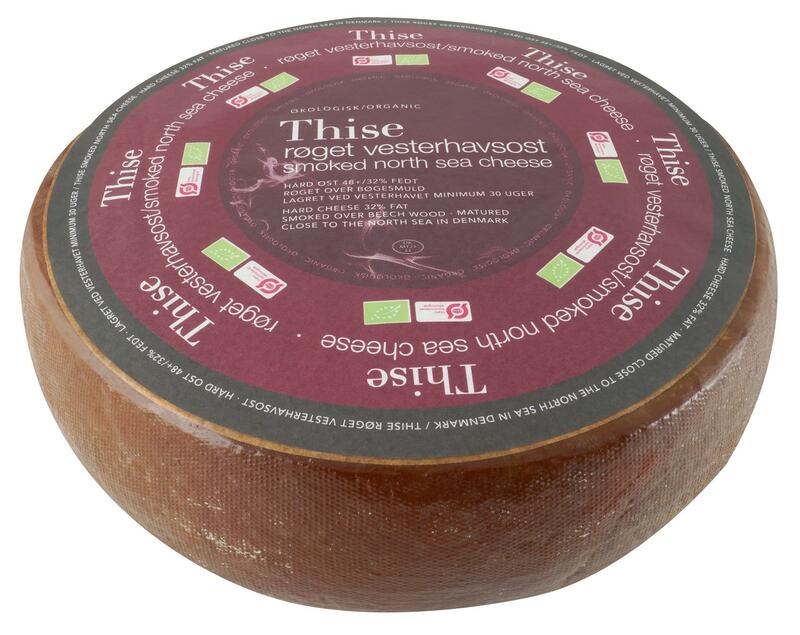 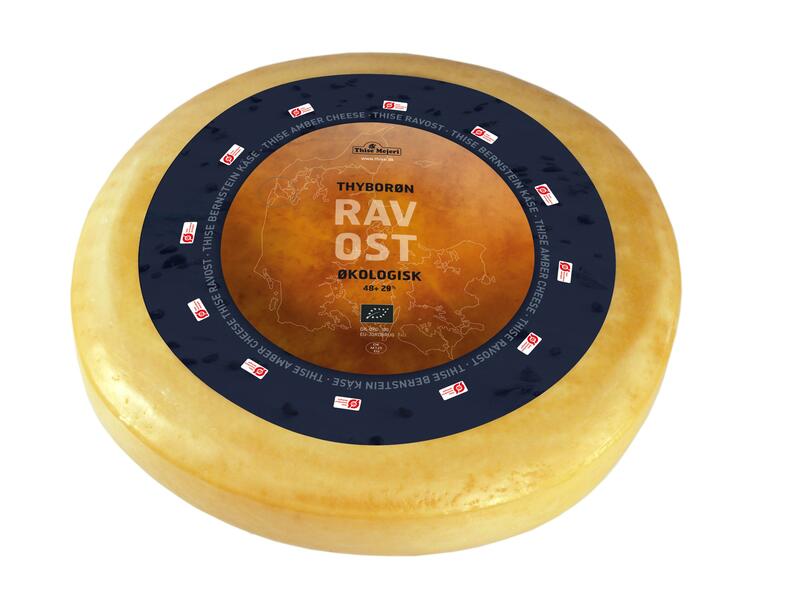 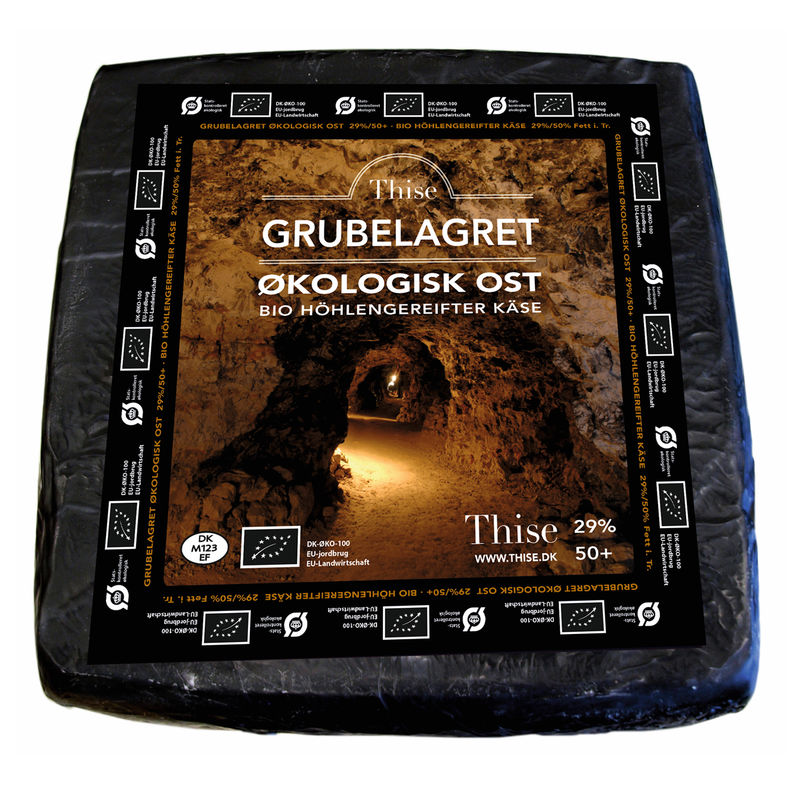 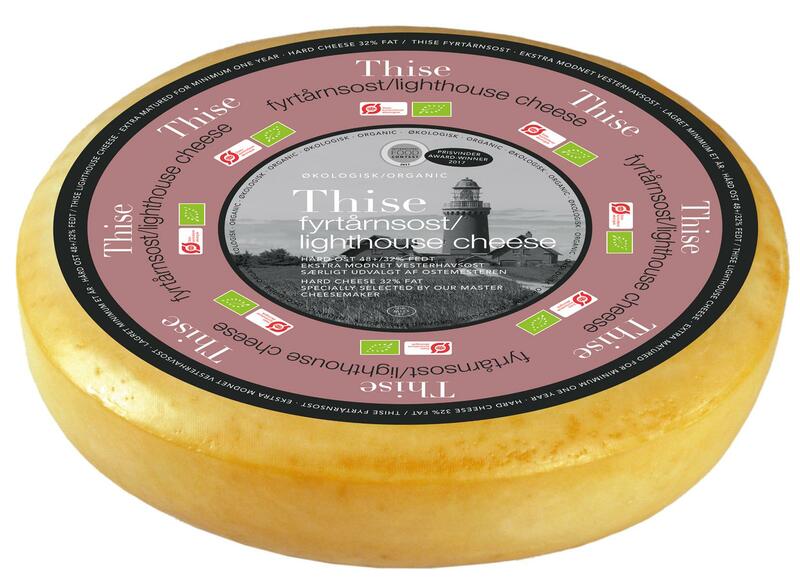 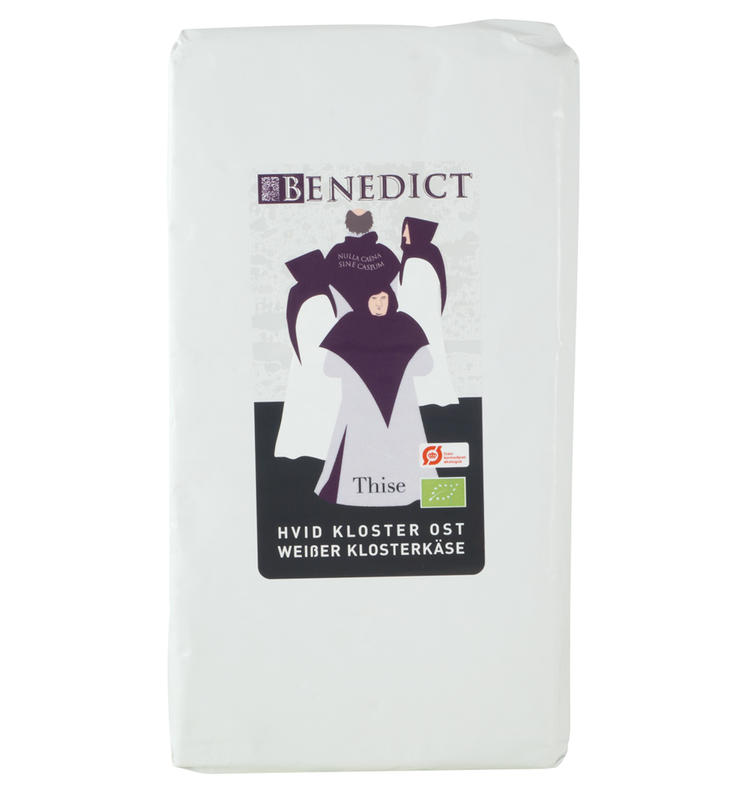 The blue mold cheeses from Thise are all produced at Gedsted Dairy about 5 km from Thise – straight across the Limfjord. 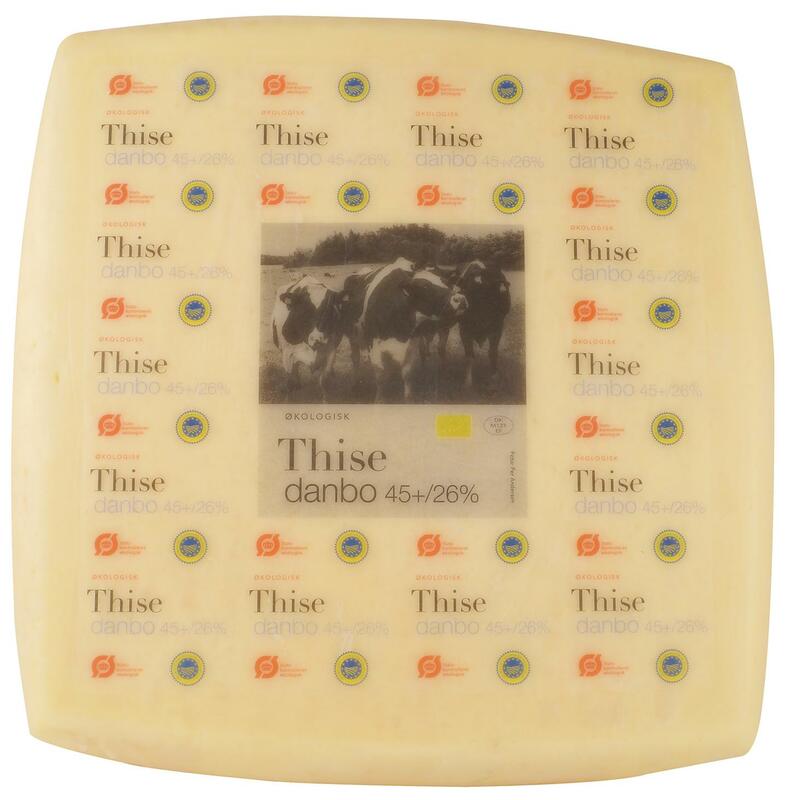 Thise Dairy has a very close cooperation with Gedsted Dairy, implying that Thise supplies organic milk to Gedsted and buys the entire cheese production from Gedsted. 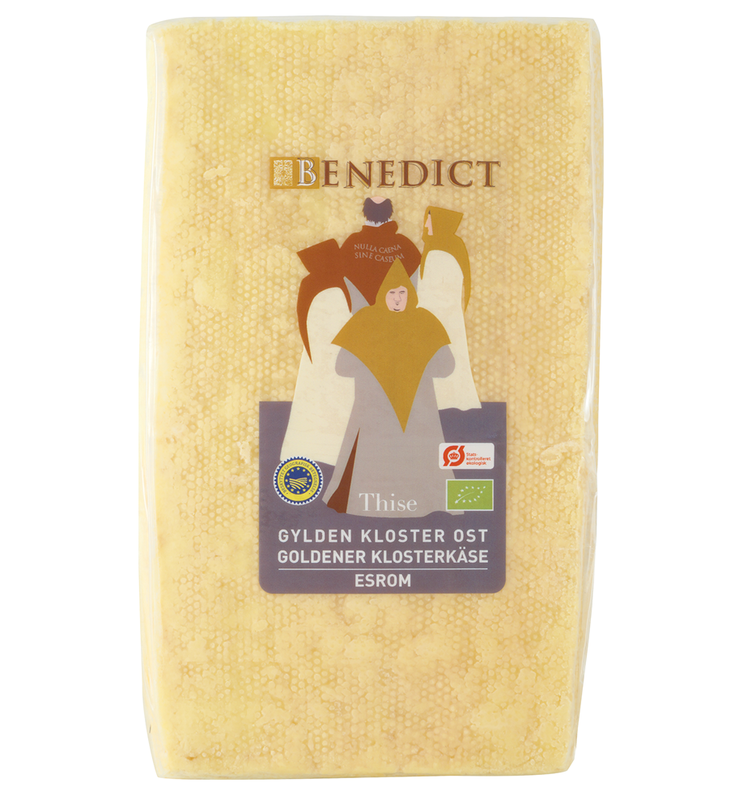 The cheeses from Gedsted are produced with great experience, love and care. 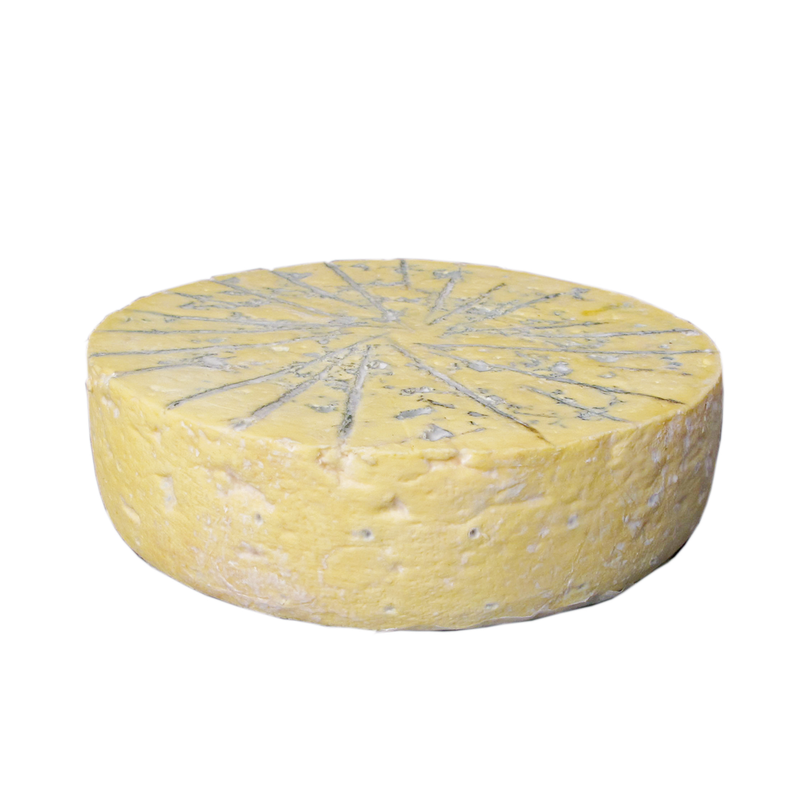 Cave Ripened Cheese 50% f.i.d.m. 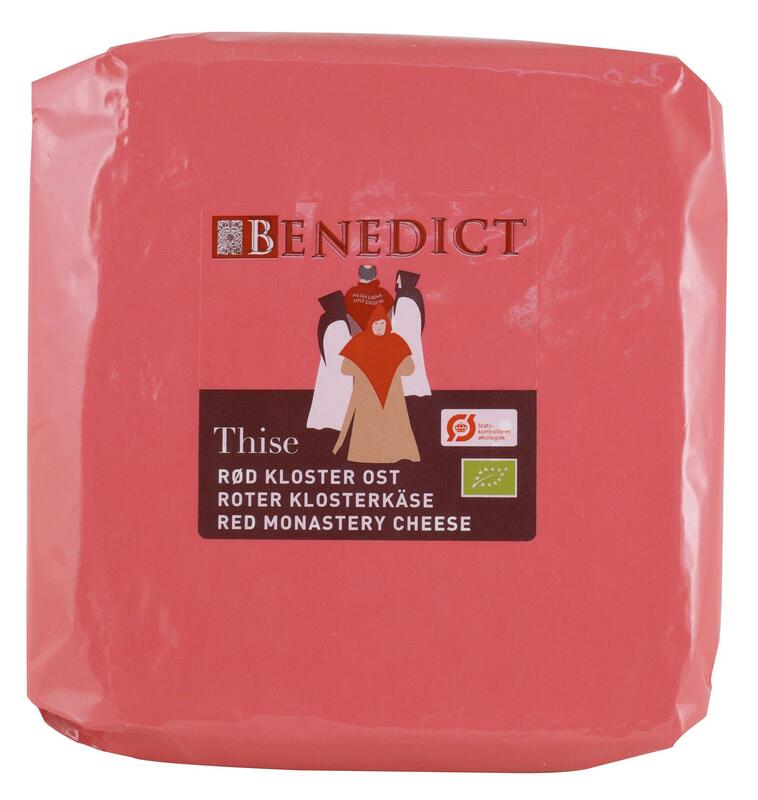 Red Monastery Cheese 60% f.i.d.m.